With respect, though, Jaap, is that enough said? 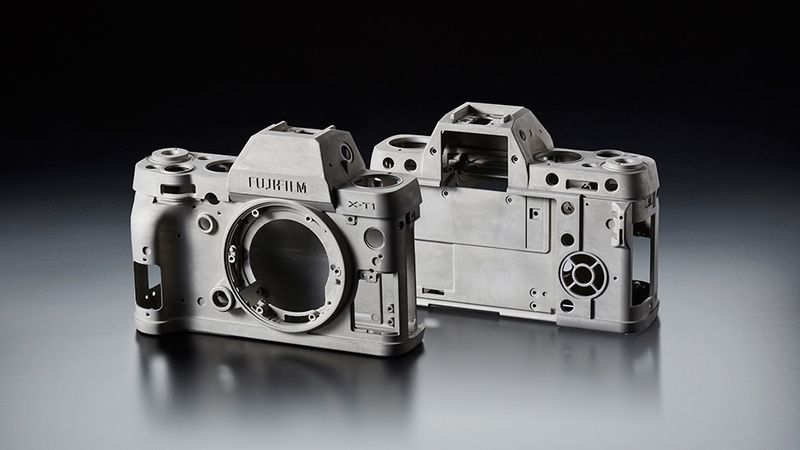 It seems Leica launches this system to reach into other parts of the market. I think many will wonder if the T is really so much better than what is already out there. I hope there becomes a flat profile, "pancake" lens, hopefully in plain silver to blend into the body. It would become my everyday pocket camera. I think many will wonder if the T is really so much better than what is already out there. The target client for the T is not likely to be one who browses alternatives. He wants, and can afford to buy a good camera that just plain works and from the Leica publicity fits his briefly evinced philosophy. Leica had created a smash hit. It is beautiful in my opinion, but they have really just missed the new market. Just compare the specifications of the Sony a 7r to the Leica T, and I feel that Sony has more to offer. Some examples, full frame, bigger sensor, more pixels. Just these are important, and I just can't understand why Leica did not fit these, and other features into the camera? It really just misses, and it is a shame. I am a M user, and have been for many years. I like my M9, and the Leica lenses are great. To me the Leica M's are the greatest, so why would they come out with a camera that is not as good, or better than the Sony a 7r? I have a a7r, and for a light weight automatic camera witth three decent Zeiss lenses it is the best of this group of cameras. Leica could have been a player in this category, but not with the T at those prices. It's okay to like and want pretty things. This is a very very pretty thing. Trouble comes in when we start pretending that there are significant photography or value-based reasons to want this camera. "I want one" is quite fine. We start lying to ourselves and each other when we continue with "because..."
I'm going to pre-book one tomorrow after checking it out at the Leica Store in DC and confirming what I read about it. Solid quality, easy and straightforward user interface - even if different from what I'm used to, effective use of M lenses, good quality of native lenses. Good design and quality manufacture along with good picture quality makes it worth the cost for me. I was thinking what would this camera might have been (and all the responses to it) if Leica had started from the inside first and then moved to the outside. What if they had designed the image quality first (e.g., had built some kind of unique and spectacular Foveon/CCD/D800E style of chip with a processor that made unbelievably extraordinary OOC jpegs never yet seen on the market.) And only then proceeded to design an equally spectacular body and user interface with the best optical designs available. Rather they seem to have built a camera from the outside first and then shopped for some store bought guts to put inside. But then that made me think that maybe we've just kind of hit a plateau in respect to image quality (at least from this segment.) Pretty much every digital camera currently made has excellent image quality and is quite capable of producing extraordinary photographs. Maybe we're kind of at the stage of where film cameras found themselves: a box that needs to hold the film and with the best optics available. In the film days, there was a focus on the type of box; its user interface, its size, and its tactile feel and its appearance. Nikon hired Giorgetto Giugiaro, Kyocera/Contax hired the Porsche Design Studio, etc. (Contax was higher priced at the time and their emphasis was on the design of the box.) Users 'changed their sensors with film' and all designs of film emulsions could be used in any camera. Well, while I agree about value based reasons, I'm not sure I agree about photography based reasons - it's quite different to shoot with, of course you might think that a bad thing, but it IS different. It's a pretty thing, I can afford it, I like the idea of a different kind of camera interface without loads of nested menus. I'm not sure that's lying to anyone is it? I think you're right - 16mp has advantages as well as disadvantages, It's certainly good for 24" prints, and perhaps if you want more than that you better go Medium Format. This camera will look really good next to a Bang & Olufsen stereo set. It will also be perfect for that brand spanking new wife with the double D's and Louis Vuitton bag. It's an outstanding piece of industrial design with probably the best user interface available in any camera ever. And it's a Leica with outstanding image quality and versatility. Do I need to spell it out - quality costs more than the global mediocrity norm. Would I buy this camera? I really don't know, but now it's out I'm glad I didn't buy an X Vario. Most importantly, if the lenses and final images are to the quality of the XVario (which they should be) then it is tempting. The T is a very nice compact system with it's native lenses (which I don't think are too slow), and there is the option of using my M lenses without sensor incompatibility issues. I could see where I'd be using it instead of the M cameras. A sophisticated and versatile point-and-shoot. I also can't deny that it's design and overall compactness is very appealing to me. the lack of inbuilt EVF does somewhat compromise it's compactness which to me is it's main appeal (and a digital M-body with a smaller 35mm lens is not that big), but I'd have to handle the camera to see if this is really the case. However, I think the T will prove to be a very desirable camera and will sell exceptionally well which is good for Leica and it's future. The Leica T will be an absolute winner if the camera and all accessories ship on time and is available in all stores. This is a premium volume play with an excellent product and a strong brand behind it. Take out and clean all your old lenses. Their prices just went up. - the Summicron-T 23 mm f/2 is attractive to me but would prefer Summicron-T 18 mm f/2 be offered at some point in future. I thought about advantages of using M-Adaptor T but there is no 23mm M lens and the Leica 18mm f/3.8 Super-Elmer-M aspherical is slower than what is on X-Vario. I like the Visoflex better than the EVF 2 but prefer the shutter and aperture controls on the X-Vario over touch screen. Nice to know that T lenses not made by Panasonic. I'm sure I'm way off base, but what will this "T" have that an NEX-7 doesn't have that justifies the huge premium? At the end of the day there is a lot to do about the sensor. What makes this cropped sensor so much better than Sony's 24MP?? Why is a BMW 5 better then a Vauxhall/Opel Insignia ? Probably the Fuji X-E2 and 18-55mm which is only half the price and plastic. Plus we have yet to see the edge performance of the Leica zoom measured and the micro-contrast recorded,but if it's like the X-Vario it's worth paying for. How much ? Individuals will decide ? Audi and BMW more then survive, technically only slightly better then Ford and Opel for double the price !! Yes my this is my last BMW. I have owned three BMWs, two Ford Explorers, a Chevy Trailblazer, and just bought a Jeep Grand Cherokee. The BMWs had all kinds of problems from serious mechanical issues to cheap parts and things falling off. My current Z4 had lots of issues and it squeaks and rattles a lot. The other cars are put together better and had almost no issues. The Explorer had twice the mileage of the Z4 with no rattles.